Central Technologies designs and installs IP-based megapixel camera surveillance systems with network video recording. Our recommended solution is an award winning solution excellent for K-12 and Higher Education. Known for its video compression technology, Avigilon was the industry’s first in developing high resolution camera technology that won’t slow down the network, allowing full motion camera monitoring from anywhere in the world. Avigilon’s open framework allows for seamless integration into intrusion detection and access control for customers that demand the very best in protection and safety. Avigilon also provides an intelligent video technology that “Sees” and makes intelligent responses based on learning. 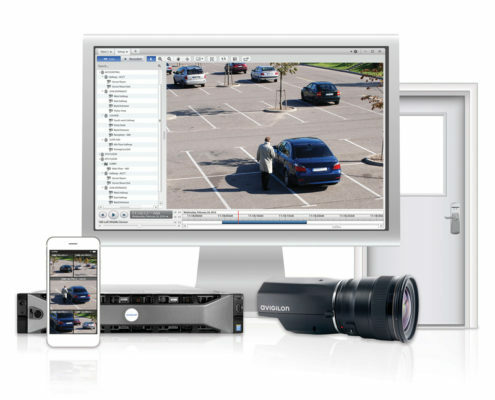 With Avigilon’s prevention solution, you can monitor anywhere in real-time on any wired or mobile device.